Jennifer Seitz's son J.J. arrived after three pushes in less than seven minutes. Editor's note: Jennifer Seitz is a senior editor at CNN.com, and the mother of three. Birth stories are more than just the epic tale of how we all got here. They’re a way of sharing one of the most profound experiences of life. I’ve heard many, many of them, and not just on hospital visits to see friends with newborns, but also upon meeting new friends or coworkers who gave birth years ago, and even unsolicited from strangers for simply walking around pregnant. Websites abound to share birth stories, too, just to meet the demand of people who are compelled to talk about them and others who are desperate to know as much as they can about them, maybe in preparation for their first. Why? Because, wow, it’s scary. Fear of the unimaginable, unbearable pain we’ve heard so much about makes us afraid of giving birth. Some young women say they will never have children because they can’t imagine going through such an inconceivable thing. I was one of those. But then, when you are pregnant, you try to talk yourself out of all those years of conditioning as the due date looms. The excitement is accompanied by panicky anticipation. Childbirth classes and methods and books are an effort to alleviate some of that fear. I had what could be described as a typical childbirth for my first, my precious daughter, who was born a decade ago. Upon my very first active labor contraction after my water broke, I immediately demanded an epidural for pain that was very real and very scary, kicking off what would not be an “easy” childbirth. I officially became a terror teller (can you believe they were running out of epidural and I pushed for hours until the point they threatened a C-section?! 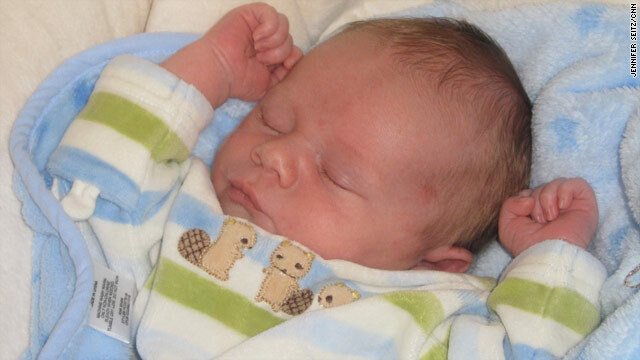 ), although the childbirth was medically uncomplicated and resulted in a vaginal delivery of a wonderfully healthy baby less than eight hours later. Fast forward eight years, and I was halfway through my second pregnancy, and still terrified. This time, it wasn’t fear of the unknown, but fear of exactly what I knew! As much as I was thrilled with the growing baby inside, I couldn’t help but be worried with the baby-getting-out part of the deal. A friend was going through hypnobirthing classes for her first child, and I was intrigued. She wouldn’t listen to negative stories. My friend explained that the hypnobirthing method is based on the fear-tension-pain cycle theory, that fear causes tension, which in turn causes unnecessary pain in childbirth. I realized my fear probably wasn’t doing much for me, but I still had it. I didn’t attend a hypnobirthing class or read a book, but I encountered more of this kind of thinking when I walked into my pregnancy chiropractor’s office. They work with a lot of the labor doulas in town and are believers in the home birthing movement, neither of which I was planning for my birth. When they told me, “We are going to prepare you for a fast and easy childbirth,” let’s just say I was far from believing. It must have sunk in, along with the Webster technique the chiropractors used to help position me and baby for birth. I knew I would be with a doctor in a hospital, but I really wanted a more relaxed experience for my second birth. I didn’t have a goal of a natural childbirth, but I did believe that the fewer interventions there were (including Pitocin and epidurals), the less delays and possible risks there would be. My new doctor was on board. I had a completely drug-free birth after a four-hour labor. I was relaxed, so relaxed, in fact, that I was caught on video doing the Cha Cha Slide with my then-8-year-old daughter at 7 centimeters. I will not say there was not pain, especially in the 8-10 centimeter range after she went home, because there was. It hurt. Fiercely. But, I was calm, and it was manageable with intense focus and awesome support. I hadn’t heard that little gem before, and I really liked that idea. I went with it. I knew what I was up against! I remembered that my body knew what to do, the fear passed and the baby was born within 10 minutes. I was so focused on the emergence of my son that time and space slipped away until my visualization of him arriving actually happened, following three pushes in less than seven minutes. Was I hypnotized? Maybe! We had a brief delay while the doctor unwrapped the umbilical cord from around his neck, but all was smooth and an overwhelmingly positive birth experience with an adorable baby boy. Many medical interventions save lives in the multitude of circumstances where things go wrong. But I turned to mine during my first birth out of a deep fear that wasn’t necessary. I don’t think there is such a thing as a painless childbirth, or one that is not fraught with the worries, hopes, wishes and most paramount concern of a brand new life. But, it can be relatively ‘easy’ if you replace fear with trust in yourself. It doesn’t have to be a tale of terror. It is possible to feel ease instead of panic, which could be the core lesson of all the childbirth methods out there. Each positive birth story breaks the cycle. Do you have one? « Previous entryWhy do I always think about food? I have four kids and I can tell you: it gets easier with each one! Part of it is experience, on the part of your body and on the part of your brain. Knowing what to expect is half the battle. Trusting your body is the othe half. My third child's birth was painful, as my daughter was facing the wrong way (facing my front instead of my back) and turned during contractions – what an incredibly painful experience! But once she turned she was ready to come out, and I delivered her in a semi-squatting position. (The doctor came back later and thanked me for making his day: he hadn't delivered a baby like this in well over a decade.) My fourth one was just plain a cinch: I was so focused on breathing and relaxing, I only pushed once or twice and he was out. I did not get an Epidural or any other intervention for all but the first one. And, by the way, I am rather small at 5'3" and about 125 pounds (not pregnant) and my babies rather large at 8 to 8 and a half pounds! I'm so happy to hear such a positive birth story... this will help shift the paradigm of this country involving this miraculous, beautiful experience. Hopefully this article reaches mothers far and wide and helps to advance the knowledge that labor is NOT all about pain and suffering..
Why is it those of us who have wonderful births are "martyrs to the pain" or "rubbing their noses into it"? I truly had three wonderful births with babies who weighed 9#10oz, 10#8oz and 10#6oz, respectively. Lengths ran from 12 hours to 45 minutes, again, respectively. They were intense births, it took my breath away, and after each contraction, the pain was gone, it didn't linger. I'm no show-off, I'm no martyr (terrified of the dentist, give me LOTS of drugs!) but, I believe in my body's ability to give birth and would do it a million times. I too had a rough experience with my first in the hospital. I gave birth with a certified nurse midwife and soon after, the hospital stopped allowing the midwives to deliver. So with my second I turned to homebirth. The experience of working with an experienced, knowledgeable, nurturing homebirth midwife opened my eyes to so much. I ended up having a beautiful birth with my second after just a 2.5 hour labor. Yes, it was painful and intense and yes, I had those worries at transition that I couldn't do it anymore and wanted to run right out of my own skin, but I did it. And as I held my baby in my arms I was beaming and exclaiming, "that was EASY!" It truly was a healing experience and now I am really looking forward to welcoming my third child at home in a few weeks. I am a very proud first-time mother who gave birth unmedicated to an 8 lb 13 oz daughter a year ago. Best experience of my life. Giving birth is like a wedding... why focus so much on that ONE day.... the rest of life with that baby (aka the marriage) is what is really important. It is not so easy for everyone though -after a 27 hr labor (after being induced as I had pre-eclampsia) I had to have an emergency c-section. I give all of you ladies so much credit who went through natural child birth. I never got to experience it, but am thrilled just the same that my little one is here.